Driver Certificate of Professional Competence, commonly referred to as Driver CPC or DCPC for short, is required by law for all professional HGV and PCV drivers, with some exemptions. The rules apply to drivers of vehicle categories C1, C, C+E, D1, D and D+E. Backline have been delivering Driver CPC training since 2013. We registered as a JAUPT approved consortium member to enable us to deliver training to the 300+ HGV drivers that we employ. Shortly after the 2014 September cut-off, we took the decision to launch our commercial training division, offering Driver CPC, Forklift, HIAB and ADR training. Required for newly qualified drivers (since September 2009), and optional for drivers with acquired rights, Initial CPC can only be completed for your first Driver Qualification Card (DQC). It consists of two modules/tests, both of which you must pass to be issued with your DQC. Check out our Beginner’s Guide to HGV for more information. Required by drivers who passed their practical driving test before September 2009, or who have previously held a CPC entitlement. Periodic training involves predominantly classroom based training, but can be incorporated into practical training such as our Fork Lift Truck, Lorry Mounted Crane or ADR courses. 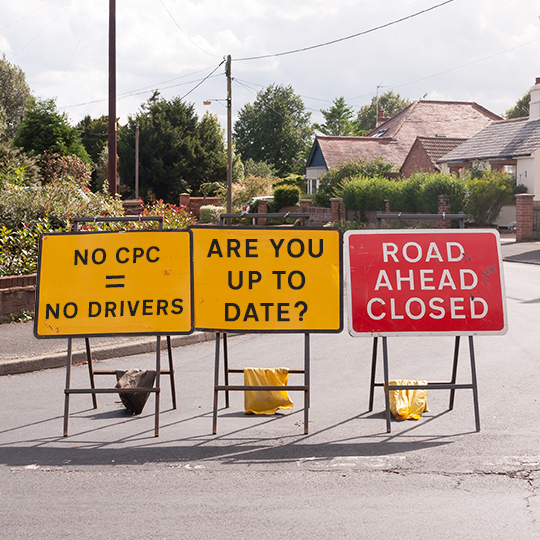 Drivers require 35 hours of periodic training every five years to maintain their CPC entitlement. N.b. If you do not currently hold a Driver CPC entitlement, you will need to complete the 35 hours before you are issued with a DQC. If there are not currently any Driver CPC courses listed for your area, please contact us or complete the form below and we will try to arrange one to suit you. Please note: all bookings are subject to our Terms & Conditions (see PDF link on this page). Register your interest for any of our available training courses or request alternate dates. Where necessary, we will contact you to discuss your requirements in more detail. Driver Assessments, Corrective Counselling etc.